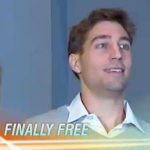 Dan appeared on Nightline last night to discuss the newly free, Ryan Ferguson. After spending almost a decade in prison for a murder he didn’t commit, Ryan is finally free. Explains Dan, “Tonight 29 year old Ryan Ferguson is a free man. After spending nearly a decade in prison for a brutal murder, he’s always said he didn’t commit. Ryan Ferguson’s parents rushed to the prison to pick him up and celebrated his hard fought victory. Ferguson spent almost all of his twenties in a maximum security prison, yet there was not a shred of physical evidence linking him to the murder, and as of last year not a single witness to implicate him.” Watch the full story here.